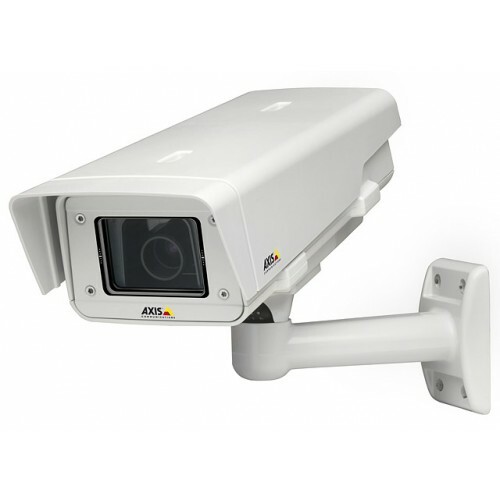 The outdoor-ready AXIS P1343-E is a fixed day and night camera with superb image quality, delivering excellent H.264 performance in a robust design. Superior video quality with progressive scan in multiple individual H.264 streams & Motion JPEG streams. The focus assistant, remote back focus and pixel counter features simplifies installation. 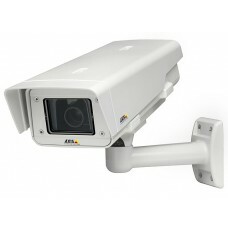 Wall bracket is supplied with the camera package. The IP66-rated camera is ready right out of the box for mounting outdoors. It has protection against dust, rain, snow and sun, and can operate in temperatures as low as -40 °C (-40 °F). It is perfect for securing locations such as governmental and industrial sites, airports, railway stations, parking lots, school grounds and university campuses.